The scandal that rocked A4e, the private contractor condemned by the Commons Public Accounts Committee, for fiddling the books, hit home this week. Six people were given jail sentences and another four were given suspended sentences by a judge at Reading Crown Court. The BBC reported here yesterday the sentencing by the judge. The scheme as reported earlier on this blog involved mentoring single parents – some of the most vulnerable in society so they could get work. But the £1.3m Aspire programme turned out to be a vehicle for fraud by the staff. The court was told staff made up files, forged signatures and falsely claimed they had helped people find jobs, enabling them to hit targets and gain government bonuses. Judge Angela Morris said there had been a “systematic practice” of compiling bogus files over a “considerable period of time”, behaviour which she described as “appallingly cavalier”. Charles McDonald, 44, of Derwent Road, Egham, Surrey, pleaded guilty to six counts of forgery and one of conspiracy to commit forgery. He was sentenced to 40 months in prison. Julie Grimes, 52, of Monks Way, Staines, Surrey, pleaded guilty to nine counts of forgery. She was sentenced to 26 months in prison. Nikki Foster, 31, of High Tree Drive, Reading, pleaded guilty to nine counts of forgery, and was jailed for 22 months. Ines Cano-Uribe, 39, of Madrid, Spain, was found guilty of one count of forgery and one of conspiracy to commit forgery. She was jailed for 18 months. Dean Lloyd, 38, of Rochfords, Coffee Hall, Milton Keynes, pleaded guilty to 13 counts of forgery. He was given a 15-month jail sentence. Bindiya Dholiwar, 29, of Reddington Drive, Slough, pleaded guilty to seven counts of forgery, and was jailed for 15 months. Zabar Khalil, 35, of Dolphin Road, Slough, was found guilty of one count of forgery. He was given a 12-month sentence, suspended for two years. Matthew Hannigan-Train, 31, of Westacre Close, Bristol, was found guilty of one count of conspiracy to commit forgery. He received a 12-month sentence, suspended for two years. Hayley Wilson, 27, of Middlesex Drive, Milton Keynes, was found guilty of one count of conspiracy to commit forgery. She was given a 12-month sentence, suspended for two years. Aditi Singh, 32, of Albert Street, Slough, pleaded guilty to two counts of forgery and one count of possessing items to commit fraud, and received a 10-month sentence, suspended for two years. However less we forget the Department for Work and Pensions was severely criticised in a Commons public accounts committee report for failing to conduct checks on what was going on with A4e at the time – and the company was only investigated because whistleblowers came forward about what was going on. Chris Grayling, then the minister responsible for employment, took no action to investigate further either. 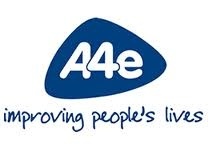 As the PAC said at the time in a report on A4e and other programmes the DWP never looked at whether A4e was ” a fit and proper contractor” to run other programmes. A4e chief executive Andrew Dutton said yesterday the company has a “zero-tolerance policy” towards fraud and money had been set aside so “the taxpayer will have lost nothing” from the scam. I remain to be convinced whether the company has truly reformed. This entry was posted in jobs, privatisation, welfare, Whitehall and tagged A4e, Andrew Edis, chris grayling, fraud, Public Accounts Committee. Bookmark the permalink. And that this senior person had free reign of DWP. ” we pretty much run the place ” and also wrote of frequent visits to number ten. And why haven’t the top brass been taken to task over this? Heads have to roll from the top as well for allowing this situation to go ahead in the first place and for these 6 (and how many more?) to be employed without having anyone to answer to. Heads should also roll at the DWP for not having stringent tests of A4e on a regular basis. So what this is telling me is that I have been duped by the DWP under the threat of benefit sanctions to have to let A4e know my personal information ? I am not happy about being involved with any scandalous company that has committed fraud !